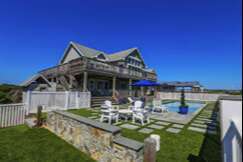 Offering over 500 Outer Banks vacation rentals on the North Carolina coast, Southern Shores Realty has homes for any occasion and budget. From the sandy roads of Corolla, to the shores of Duck, Southern Shores, Kitty Hawk, all the way to bustling South Nags Head. We have the local OBX rental expertise and experience since 1947 to help your family create Outer Banks memories that will last a lifetime. Take a moment to search through our extensive selection of Outer Banks vacation rentals, choose your favorite, and book online today! Whether you’re looking for a luxury oceanfront home or a quaint soundfront cottage, we have the home for you. The amenities of our vacation rental homes include private pools, hot tubs and more. Our extensive list of OBX vacation rentals includes oceanfront homes, pet-friendly rentals, and more. The vacation homes will supply you and your family with all the memories a vacation deserves. Can’t stay a full week but still want the Outer Banks experience? Take a look at our rental homes that offer Mini-Vacations!